A “Fallen Flag” (from Wikipedia) is a North American railroader and railfan term for a company that is no longer in business due to bankruptcy or merger. Being a model railroader, whether you’re just into operations or for some…becoming a master modeler, an integral part of the hobby is research. What we hope to accomplish on this page is to highlight two “Fallen Flags” per month. There will be no set order for publication, but more so a random choosing of railroads from our past. 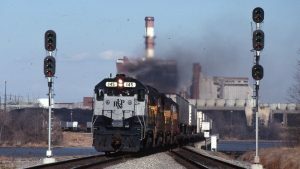 Should your interest be peaked and you’re unwilling to wait for your particular railroad, then we suggest you click on the following link FALLEN FLAGS and go directly to their superb web site and search out your favorite railroad.